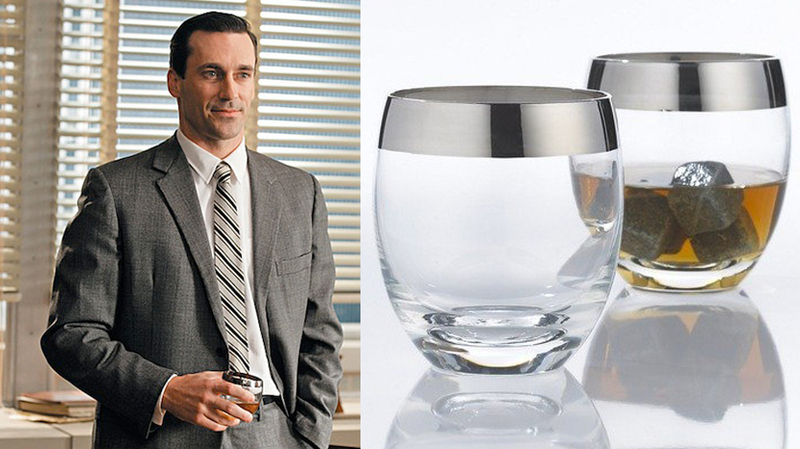 Iconic whiskey glasses: Mad Men tumblers have the silver screen embedded in their silver rims. Of Californian origin, Dorothy Thorpe was a world-renowned artist and designer who worked in different media, including glassware. She had no formal training and started her design experiments at home by customising beer bottles. 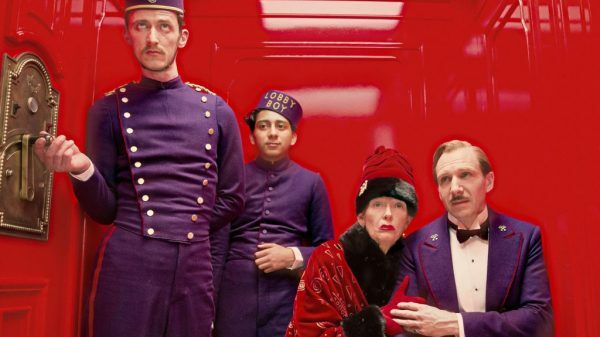 She gave an early glass design to her brother who took it to MGM Studios where he worked. 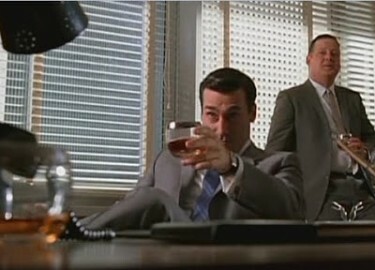 Clark Gable saw the glass and liked it so much that he ordered six dozen and thereby launching Thorpe’s career. 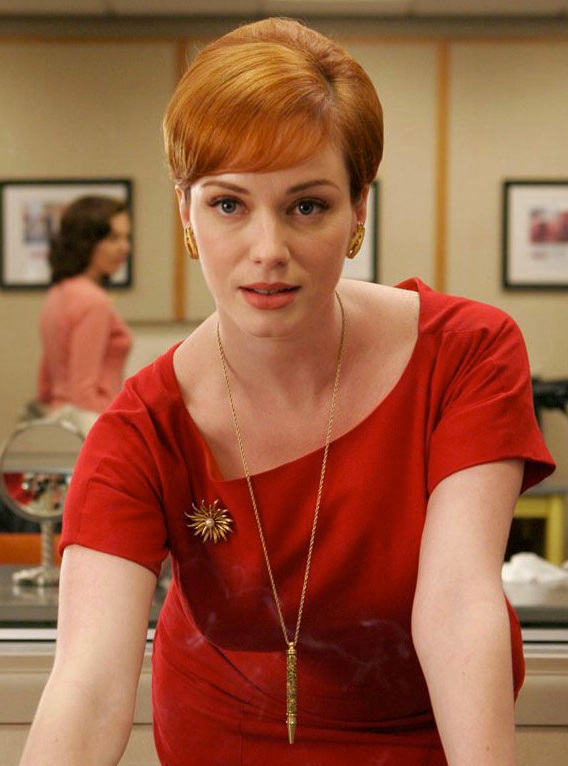 In a few short years she became famous for her original creations in crystal ware. She marketed her first pieces through a small Hollywood gift shop and then began to attract orders from larger big name retailers as well as Hollywood Studios, stars and wealthy folk such as Princess Grace of Monaco and the Shah of Iran. Besides tableware, Dorothy Thorpe created glass decorations, lamps, windows, china, silver and linens and worked with plastics and resins. 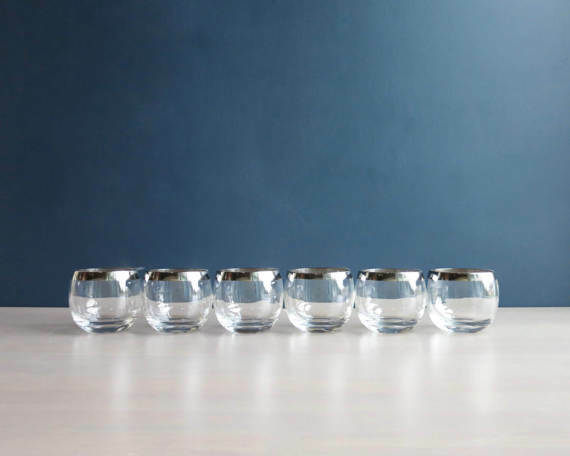 The Dorothy Thorpe designed, double shot glass, Roly Poly tumblers measure 3 inches tall, 2.75 inches in diameter and each glass holds 8 fl oz (Note the size of glass actually used in Mad Men, as they come in various sizes). 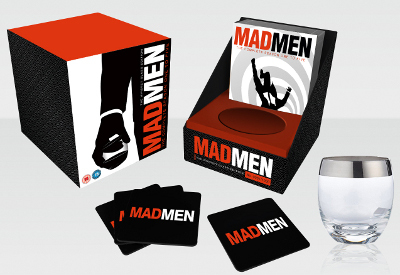 So where can I get some Mad Men glasses of my own? Some original Dorothy Thorpe designs feature a delicate silver fade that descends down the lip of the glass, and some feature the more defined silver band. You can buy contemporary versions influenced by the originals from the Wine Enthusiast via Amazon – around $23 for a set of 2, $51 for a set of 4, and $75 for set of 6. 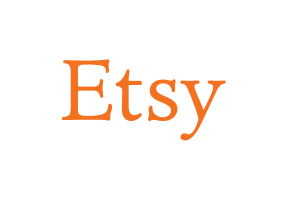 If you want some original vintage Dorothy Thorpe’s, then Etsy is a good port of call. 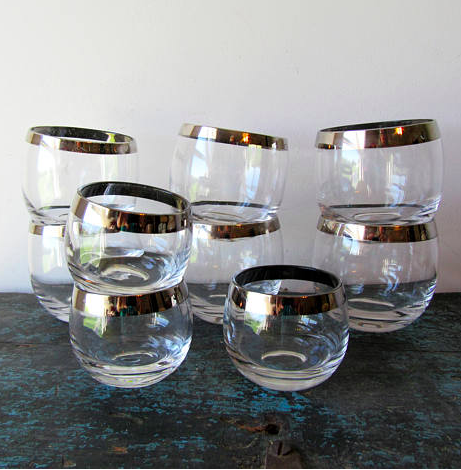 Try Rust Belt Threads who are currently selling this set of 6 vintage Dorothy Thorpe style glasses via Etsy at $155 (and ship worldwide). 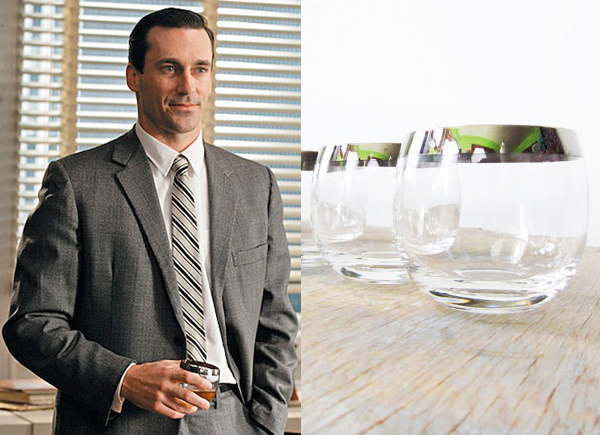 Original 1960’s vintage Dorothy Thorpe whiskey glasses – the exact kind used by Don et al in Mad Men. 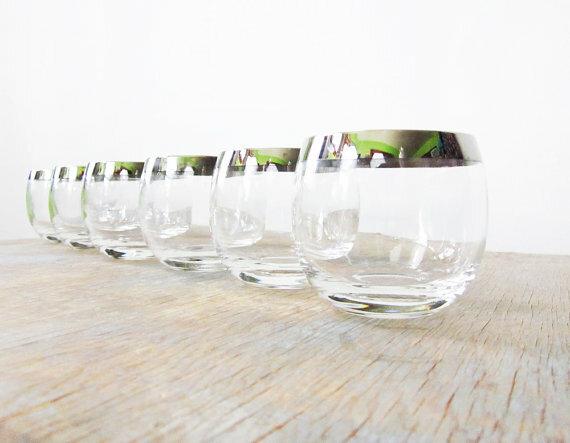 Shanty Irish Vintage have this set of 9 (6 large, 3 small) vintage Dorothy Thorpe inspired silver rimmed glasses as seen below. 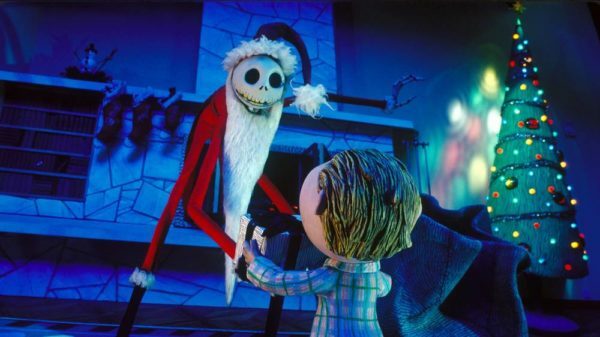 LARGE: WIDTH: 3″. 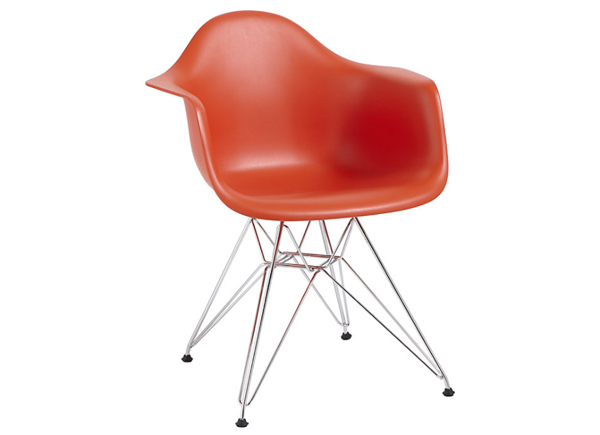 HEIGHT: 3 1/4″. QUANTITY: 6. 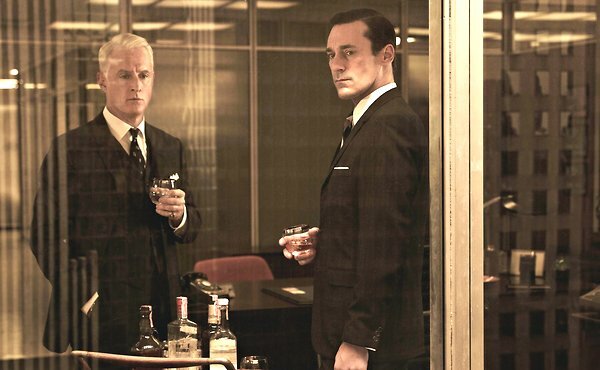 A silver rimmed cocktail pitcher from the same set is also available. 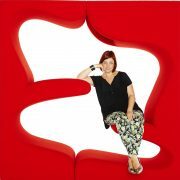 Gulliver & Co. are currently selling this set of 6 Dorothy Thorpe-style 1960’s glasses which are in excellent condition. 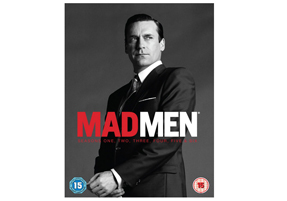 Zavvi sell Mad Men series 1-5 on DVD in a limited pack which includes a replica glass – currently £41.99. Go on, make Don Draper proud.